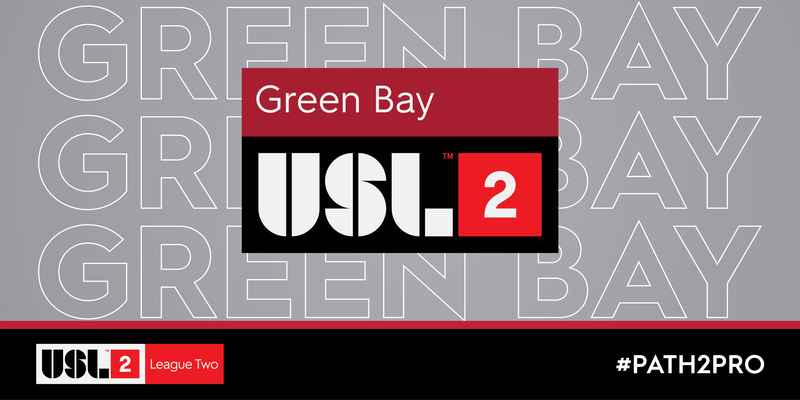 TAMPA, Fla. – In anticipation of the 2019 USL League Two (formerly Premier Development League) season, Green Bay has joined the league as its latest member. The Wisconsin-based club becomes the fifth new side to launch in League Two ahead of the league’s 25th anniversary. Green Bay will compete in the Heartland Division, which currently features six other clubs. “We’re thrilled to see Big Top bring USL League Two to the Green Bay community,” said USL League Two Vice President Joel Nash. “Through Green Bay’s sporting heritage, Big Top’s experience and the exciting new Capital Credit Union Park, this team is sure to be a huge success. Green Bay will also add another example of League Two’s Path to Pro philosophy, where this team surely will support Madison Pro Soccer as well." The club’s efforts to bring a League Two soccer team to Green Bay are led by Big Top Soccer – an ownership group that features Vern Stenman, Conor Caloia, Jim Kacmarcik and Steve Schmitt -- and Big Top Soccer Managing Director Peter Wilt. The assembled group previously combined in May to bring a USL League One side to Madison, Wisconsin ahead of the league’s inaugural season in 2019. “Our mission is to build a legacy of championships with and for the community,” Wilt said. “That means we want to win on the field, but it’s equally important to be part of the fabric of the community and make Green Bay a better place to live, work and play. Green Bay will debut at Capital Credit Union Park next season – which will also serve as the home of Northwoods League summer collegiate baseball team Green Bay Bullfrogs. Green Bay’s new venue will be located less than one mile from historic Lambeau Field, which has housed the National Football League’s Green Bay Packers since 1957. With its introduction ahead of the 2019 League Two season, Green Bay joins previously announced Cedar Stars Rush, Discoveries SC, Florida Elite Soccer Academy and Wake FC. To stay up-to-date with Green Bay, follow the team on Facebook and Twitter. A part of United Soccer Leagues, LLC, which also operates the USL (soon to be USL Championship), the new USL League One and Super Y League, USL League Two offers a summer platform for aspiring professionals across the United States and Canada. More than 70 percent of all MLS SuperDraft selections since 2010 have USL League Two experience, including a total of 66 alumni chosen in 2018. Among the many players to have competed in USL League Two before making their professional debuts include Werder Bremen's Josh Sargent, Newcastle United FC defender DeAndre Yedlin, Atlanta United goalkeeper Brad Guzan and Columbus Crew forward Gyasi Zardes.